How could the boy understand his anger? Footnotes: I love horses and growing up as a child there were some favorite Children’s classics I loved reading, and watching on TV when they were made into a movie. 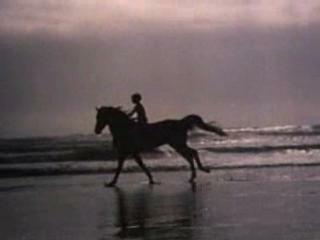 One of those was, The Black Stallion, about a young boy, Alec that befriends a beautiful black Arabian horse after they alone survive a shipwreck, and find their way to shore after a perilous journey at sea. After finally bonding they become inseparable, and eventually the stallion is trained as a racehorse by another friend and trainer who teaches Alec how to ride and race his horse like a pro. The above poem is one I wrote many years ago, but revised recently to post here with this photo taken from the internet advertisement of the movie. You can find more information on The Black Stallion here.